You kind of have to love a band willing to take physical abuse for the sake of art. 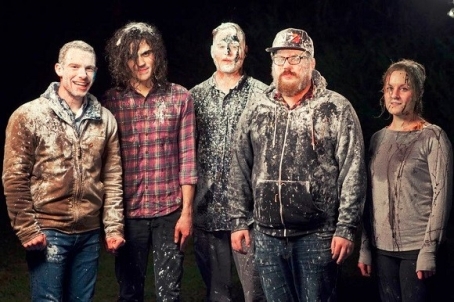 Above is a picture of the aftermath from Seagulls' new music video (directed by Doug Zajaczkowski) for the wonderful track "You and Me," off their debut LP Great Pine. The album is getting re-released on February 3 via Yellow K Records, and you can catch Seagulls live at the label's showcase on January 30 at Bourbon & Branch.